Tim DeChristopher's ordeal exposes the massive power of the fossil fuel industry. Governments, including the U.S. and Canada's, often do far more to promote the interests of this industry than to protect people's rights and health. In 2008, economics student Tim DeChristopher went to an auction set up by the Bush administration for the oil and gas industry. He bid $1.8 million for the right to drill on 14 parcels of Utah wilderness, much of it near national parks, and drove up prices for other pieces of land that he bid on but didn't win. Although DeChristopher later tried to raise money online and offered to pay for the land leases, the government claimed he had no intention of paying and convicted him in March on two felony counts. On July 27, he was sentenced to two years in jail and three years' probation and ordered to pay a $10,000 fine. He was escorted from the Utah courtroom in handcuffs. Now he's a criminal. During the trial, the judge refused to allow DeChristopher to discuss his motivation. Because of that, and other reasons, his lawyers are launching an appeal. In his statement to the court before sentencing, DeChristopher said he had wanted "to stand in the way of an illegitimate auction that threatened my future." The leases were later cancelled because the Obama administration found that sufficient environmental reviews had not been conducted. In his inspiring speech, DeChristopher also spoke eloquently about the contradictions in the law around resource extraction. He pointed out that in West Virginia, where he was raised, a state investigation found that coal-mining company Massey Energy, which often blasts away the tops of mountains to get at the coal, broke the law 62,923 times in the 10 years leading up to a disaster that killed 29 people in 2010. The company, which contributed millions of dollars to elect many appeals court judges in the state, was rarely penalized for those violations. DeChristopher argued that his mother had tried every legal method to get coal companies to comply with the law. "She commented at hearings, wrote petitions and filed lawsuits, and many have continued to do ever since, to no avail," he said, adding, "I actually have great respect for the rule of law, because I see what happens when it doesn't exist, as is the case with the fossil fuel industry." The trial, and the relatively tough sentence, hinged on the supposed damage DeChristopher caused. According to the government, oil companies were financially hurt because his actions drove the price up to an average of $125 an acre from the $12 an acre offered for land he did not bid on. That's despite the fact that companies willingly paid the higher prices and were allowed to withdraw their bids after DeChristopher was charged. And the leases were later cancelled anyway. For his part, DeChristopher argued that "the only loss that I intended to cause was the loss of secrecy by which the government gave away public property for private profit. As I actually stated in the trial, my intent was to shine a light on a corrupt process and get the government to take a second look at how this auction was conducted." DeChristopher's ordeal exposes the massive power of the fossil fuel industry. Governments, including the U.S. and Canada's, often do far more to promote the interests of this industry than to protect people's rights and health. Those who violate the law and put the lives of citizens and their children and grandchildren at great risk through pollution and destructive industrial practices often get let off scot-free or receive a slap on the wrist, while those who use civil disobedience to challenge this imbalance are hit with the full force of the law. 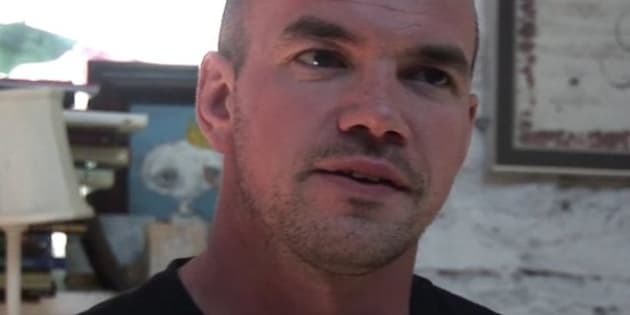 Tim DeChristopher said he does not want to be a martyr; he just wants people to join him. "If the government is going to refuse to step up to that responsibility to defend a livable future, I believe that creates a moral imperative for me and other citizens. My future, and the future of everyone I care about, is being traded for short term profits. I take that very personally." We should all take it personally. We aren't out to shut down the fossil fuel industry immediately. That would be impossible as well as impractical. But surely a sustainable, healthy future ought to come before a corporation's right to profit. Dr. David Suzuki is a scientist, broadcaster, author, and co-founder of the David Suzuki Foundation. Written with contributions from David Suzuki Foundation editorial and communications specialist Ian Hanington.